We’re keen to expand the talks and performances at the Rally in future years… please contact us if you’d like to give one! Talks are held in the seating area in the Lounge marquee (at the other end to the Rally HQ). 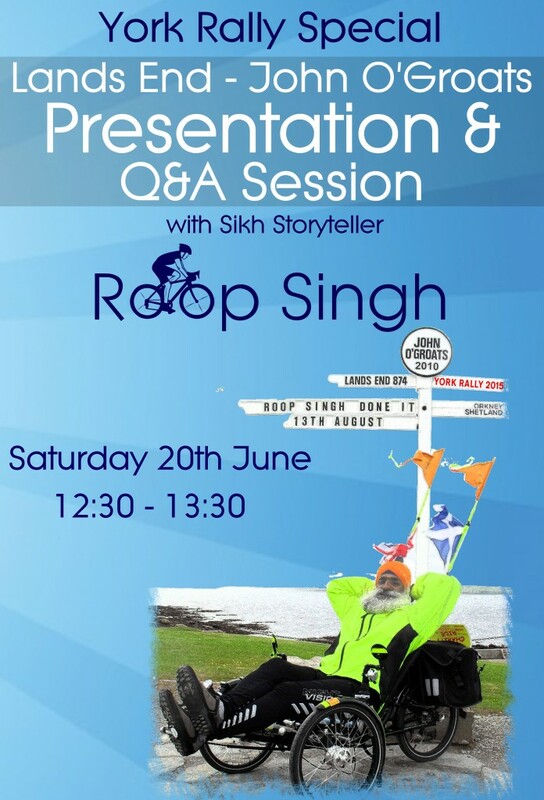 Sikh storyteller and cyclist Roop Singh will be telling us about his LEJOG ride and other cycling exploits: see www.roopsingh.com. His session is 12:30-1:30 on Saturday, and watch the noticeboards for times on Sunday. 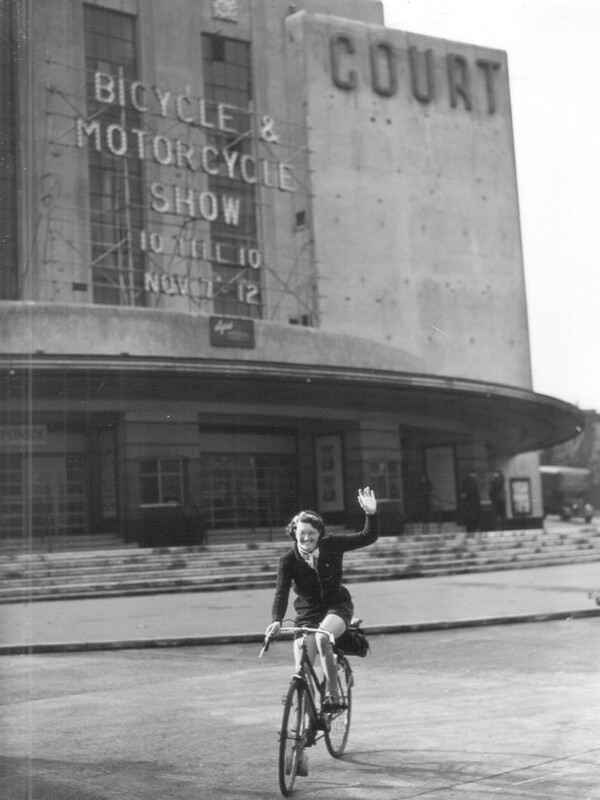 Dave Barter will be telling us about the Billie Fleming Tribute Ride and the remarkable lady who inspired it! Plus stories of other high-mileage riders of the age. 2 PM on Sunday. 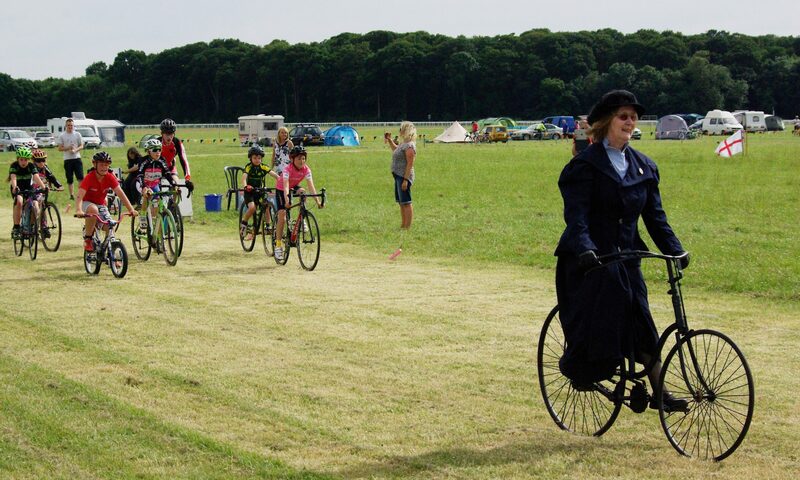 Derek Carpenter will be performing his tricycle-based ‘Punch and Judy’ act throughout the event.